It’s perfect in 1 v 1s when the opponent is blocking Leo from in front or behind! Keep reading for tips and tutorials on how to do it! 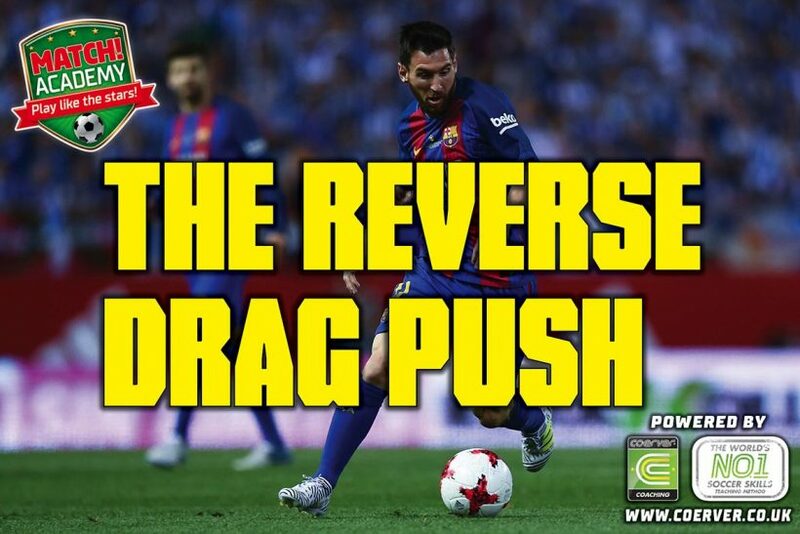 When performing The Reverse Drag Push, have eyes up so you can see everything on the pitch. Travel slightly away from the space you want to go into, then bust the move out – this will unbalance your opponent. 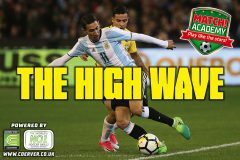 Take a fast touch away, then unleash your shot with the furthest foot from the defender! Cut the ball from side to side with the inside & outside of your right foot. Have soft knees and keep your body over the top of the ball for balance. Sneak a look in front and to the side as you move forward with the ball. Now repeat with your left foot. Tap the ball with the inside of your foot – at the same time, hop in that direction. As your hopping foot lands, use the outside of the opposite foot to push the ball away. As your hopping foot lands, use the outside of the opposite foot to step behind the ball. Use the outside of the opposite foot to push the ball and accelerate away.